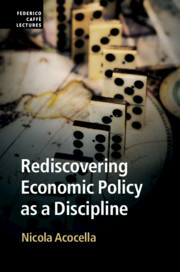 Jointly sponsored by the Department of Public Economics at the University of Rome. This series of annual lectures was initiated to honor the memory of Federico Caffè. Where Caffè held a chair from 1970 to 1987, and the Bank of Italy, where he served as a long-term advisor. The publication of the lectures provides a vehicle for leading scholars in the economics profession to reflect on the pressing economic and social problems of the times.